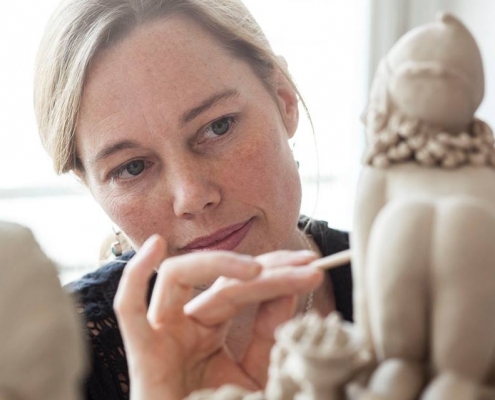 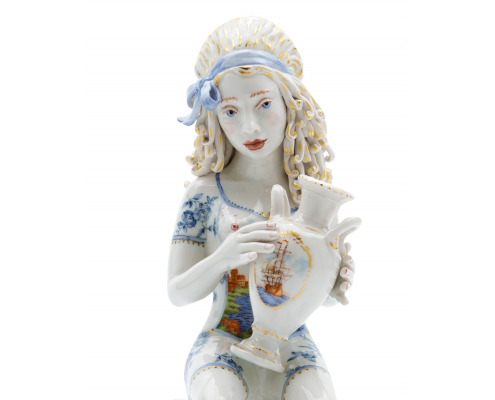 Unique and Limited Edition Artworks made in collaboration with the MEISSEN Porcelain Manufactory. 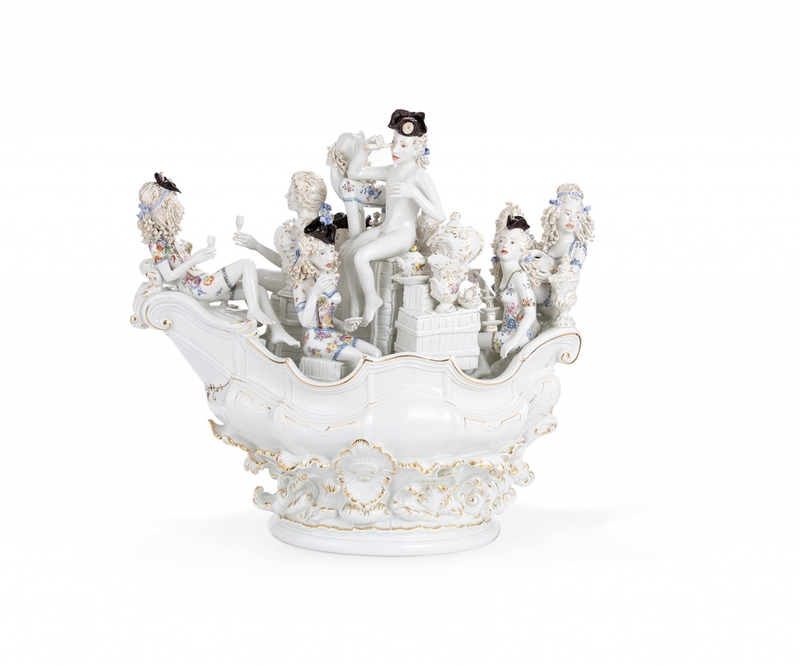 Sailing on a ship in the form of the Swan Service Centerpiece, these figures carefully carry their porcelain treasures in hand. 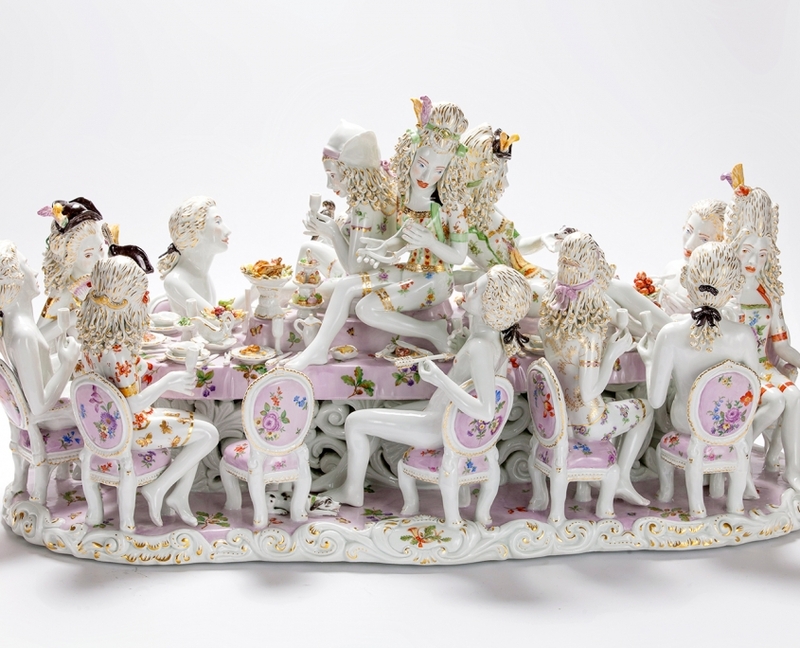 Perched atop crates filled with more porcelain, the figures partake on a journey from a place that creates porcelains to a place whose admiration of porcelain fringes on obsession. 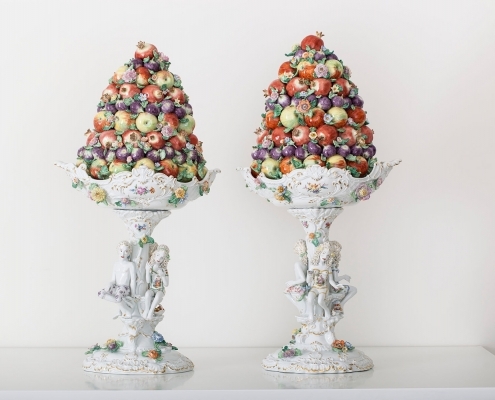 If August the Strong, founder of MEISSEN, the first Porcelain Manufactory in Europe, could have hand carried his beloved porcelain vases and platters, I believe he would have done so. 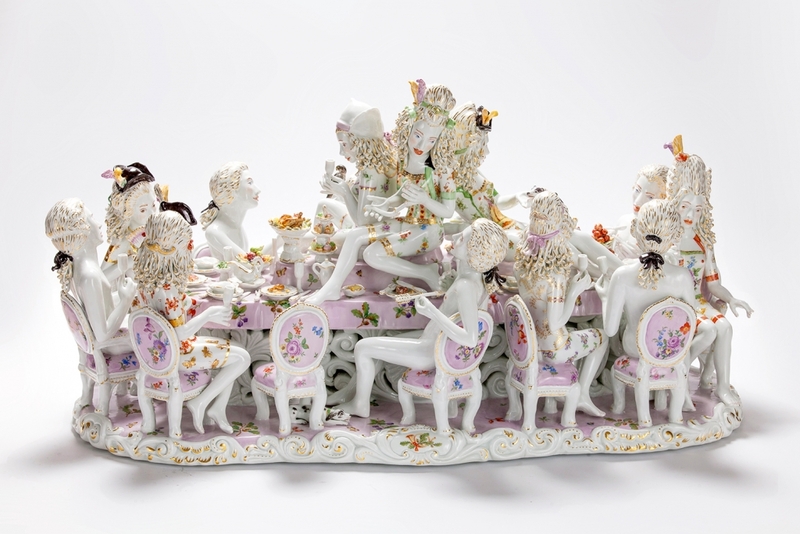 La Maladie is a musing on this love for porcelain as well as a parable of the care it takes to transport the objects created from this delicate material. 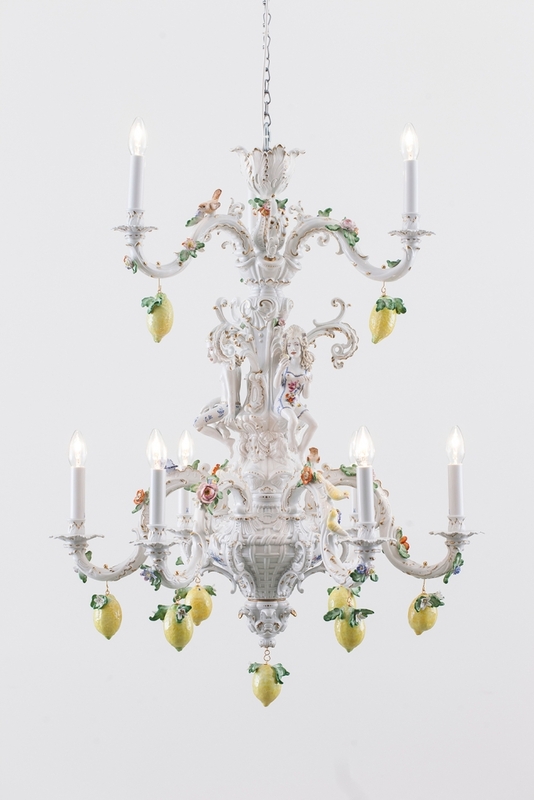 In his own words, August the Strong suffered from “la maladie de porcelaine,” the porcelain sickness, therefore the ship carries this name. 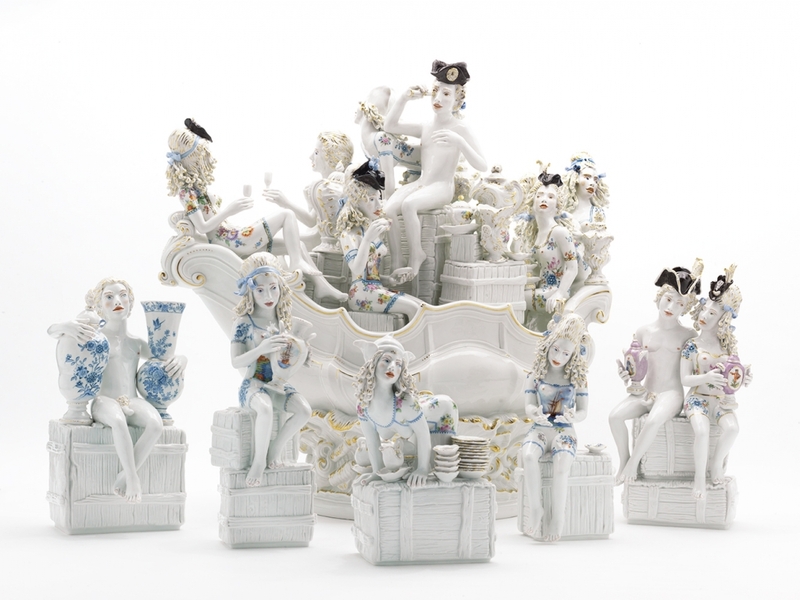 To accompany the large unique ship, La Maladie, I created five smaller Limited Editions to tell a little more of the story with added characters, seated on crates, each with their own special porcelains. 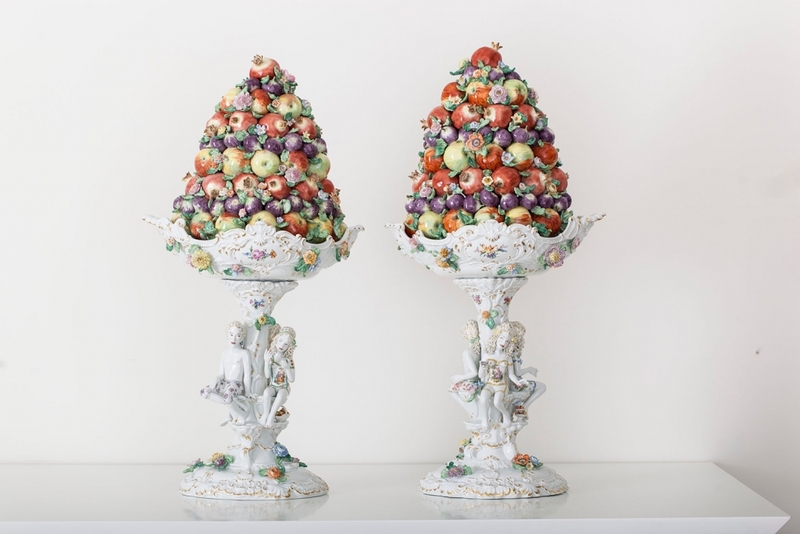 The titles come from the language used by sea traders like the Dutch East India Company, which was the first to bring Chinese porcelains into Europe.